one home at a time . . . 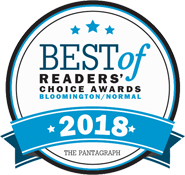 Advantage Lawn and Landscape, provides professional and trustworthy lawn maintenance and landscaping to commercial and residential properties throughout central Illinois including Bloomington-Normal and surrounding communities. We customize plans for each client considering overall property design, staging and long term growth for all seasons. From residential to commercial and corporate we make any greenspace a true masterpiece. 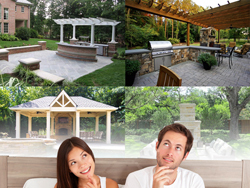 Advantage can design, install and maintain your outdoor living space and we'd love to sit down with you and talk about a plan! We offer state of the art 3-D landscape plans that will help you visualize your dream outdoor space. LAWN, TREE & SHRUB PROGRAMS? Get our all-in-one Lawn Care package - it's the EASY way to a greener, healthier lawn. Our lawn care package includes Pre- and Post-emergent Crabgrass Control; Slow Release Fertilizer, targeted Fungicide/Insecticide applications, Broadleaf Weed Control, Grub Control and Winterizer. Call us for a customized quote for our Spring Clean-up and Tree & Shrub program as well.